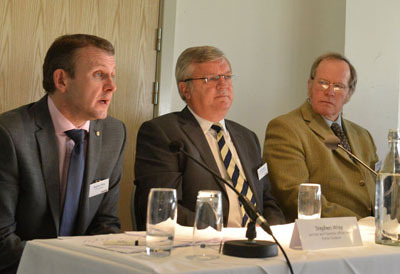 More than a hundred members of Taunton’s business community recently attended a Breakfast at Somerset County Cricket Club to discuss the benefits the town has to offer companies looking to invest and expand. 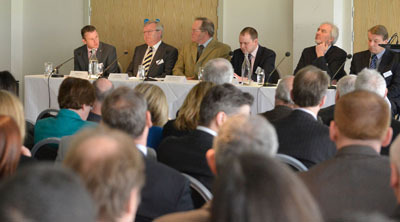 The event, organised by leading business-to-business media company Insider, was led by a panel of speakers which included representatives from major Taunton firms Porter Dodson, Albert Goodman and Summerfield Developments. Chris Winter, Managing Director of Summerfield Developments SW Limited emphasised the fact that “Taunton has to look forward and plan for the future, to create a place that people want live and work. To do this the local authority need to be proactive in delivering planning permissions and allocating land that creates a positive environment that encourages business to come to the town.” He welcomed Taunton Deane’s ‘Taunton Means Business’ initiative that projects a proactive approach to encourage new business to come to the area. Further coverage of the event can be found in the May issue of Insider South West magazine (Courtesy of Insider).